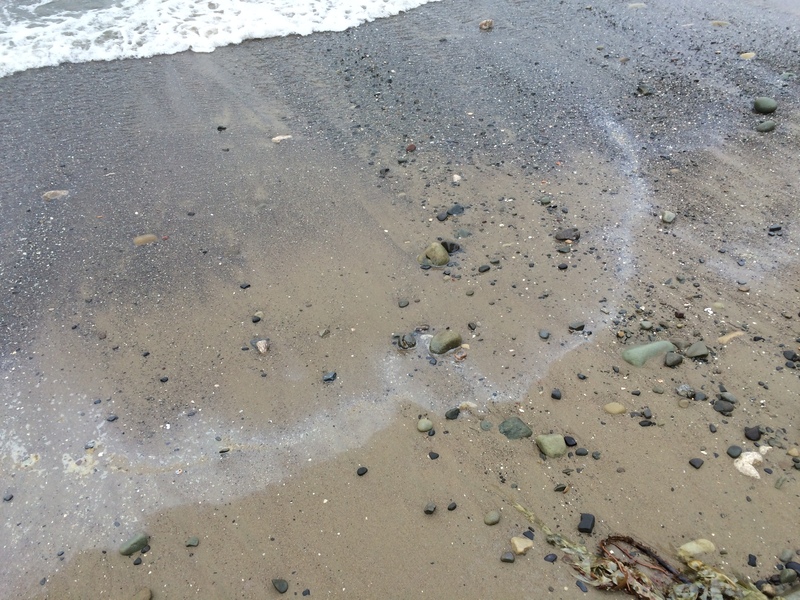 After several hours of detailed field assessments across Summerland beaches and associated explorations of neighboring beaches bracketing the Summerland area yesterday, we now have a much clearer and complete picture of the current beach oiling event occurring in Summerland at the moment. Below I summarize the state of affairs as of Sunday, August 23, 2015. Dr. Anderson examining the amount of surface oiling/oil sheen just above the heavily-oiled wrackline at Summerland, CA. August 22, 2015. 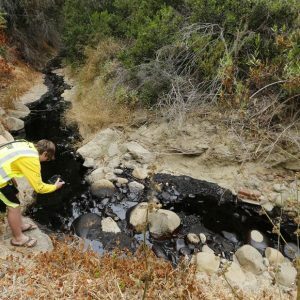 Recent months have seen generally heightened seep activity across the Santa Barbara Channel, overlapping with the tar and crude deposition of the Refugio Oil Spill. 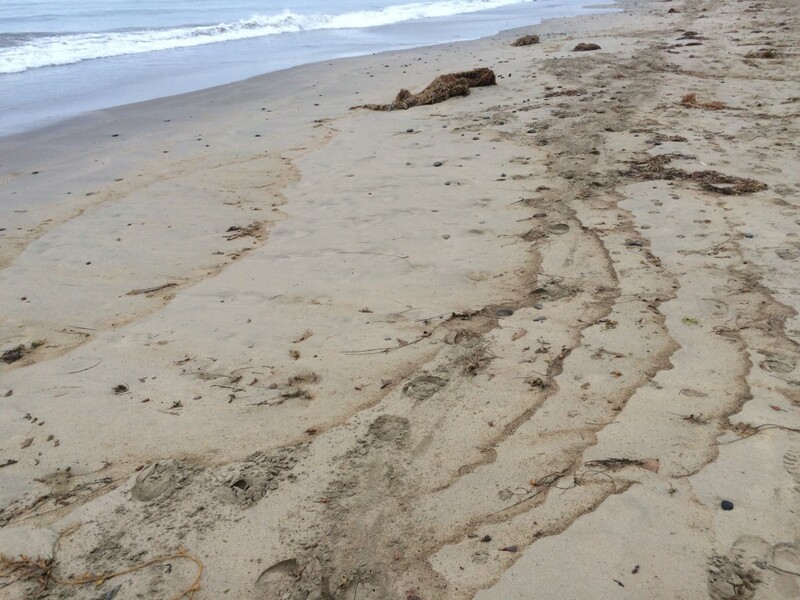 This originally caused a bit of confusion as to the source of the tar covering our southland beaches in late spring/early summer (the vast majority of which proved to be from the pipeline itself and not background seep activity). CSUCI researchers were in the field almost daily from mid-May through mid-July after which most of our team migrated to the South Pacific, other points across the western U.S., and the Louisiana coast for other research projects and management commitments. 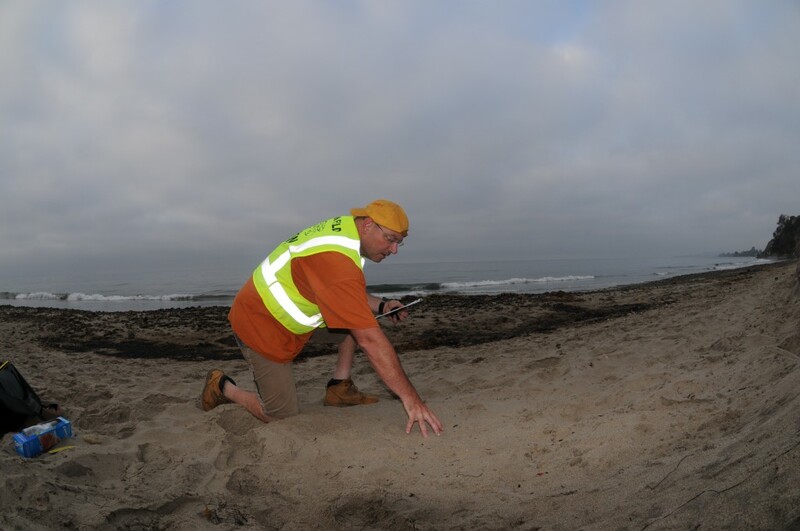 As of mid August our team has returned to our beach monitoring work, albeit not to a daily pace of visitation. As a consequence of so many field hours, we were well positioned to evaluate the amount of “background” beach tarring and oiling. Oiled strand line along Summerland Beach. August 22, 2015. Oiled strand line along Summerland Beach. Early morning of August 22, 2015. 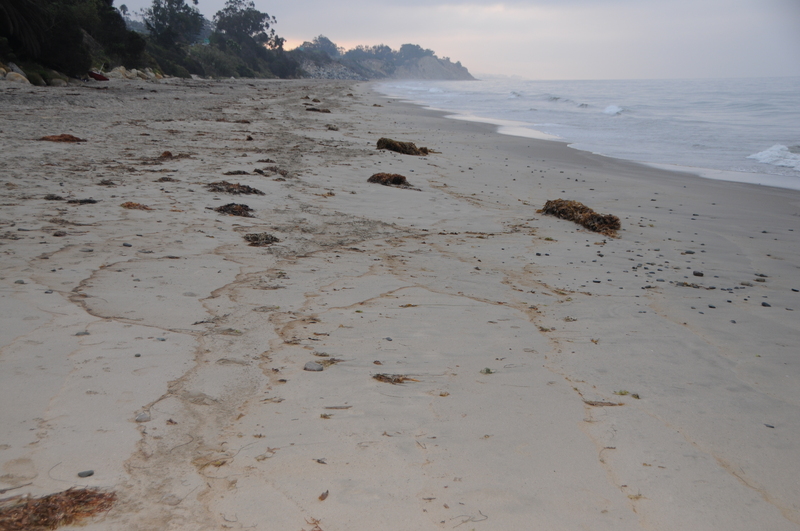 Oiled strand line along Summerland Beach. This view is looking south/eastward just as the sun is rising on August 22, 2015. Oiled strand line in Summerland. August 22, 2015. 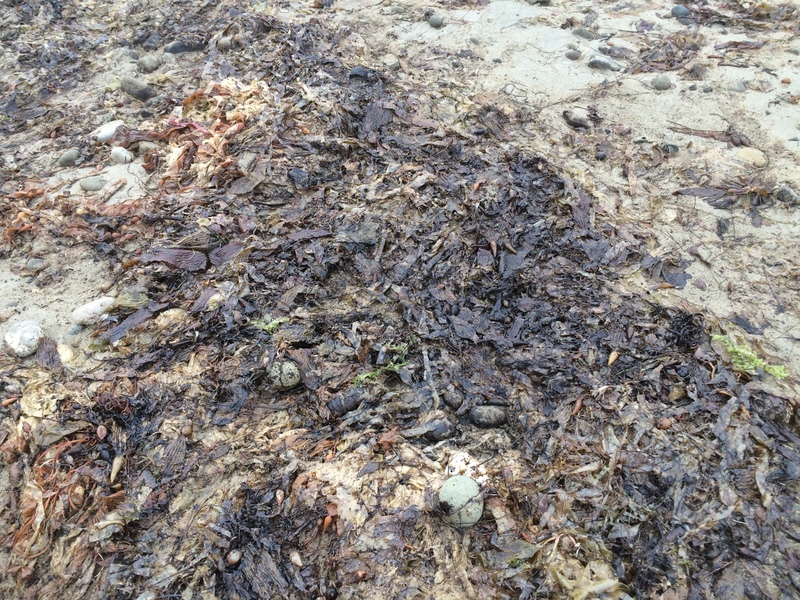 Heavily oiled wrack at the wrack line in Summerland, CA on August 22, 2015. 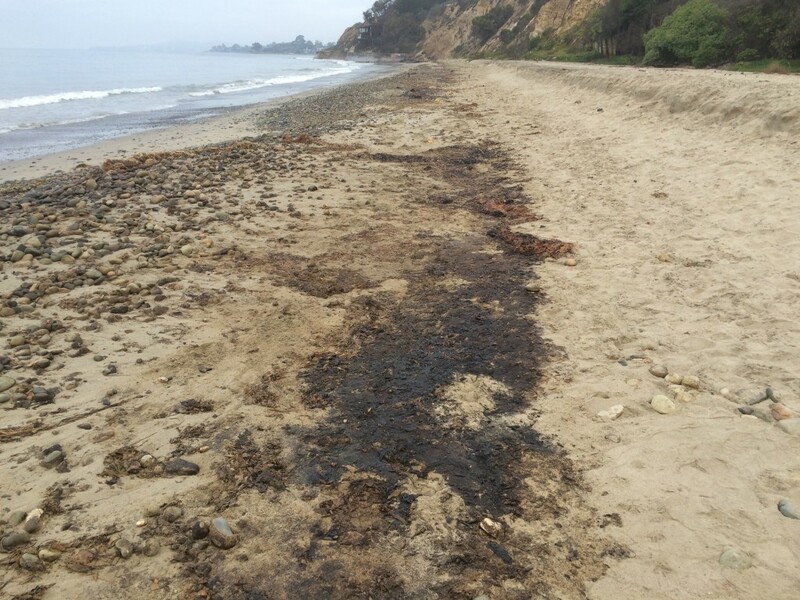 The heavily oiled wrack line just down from the main entrance to Lookout Beach in Summerland, CA on August 22, 2015. 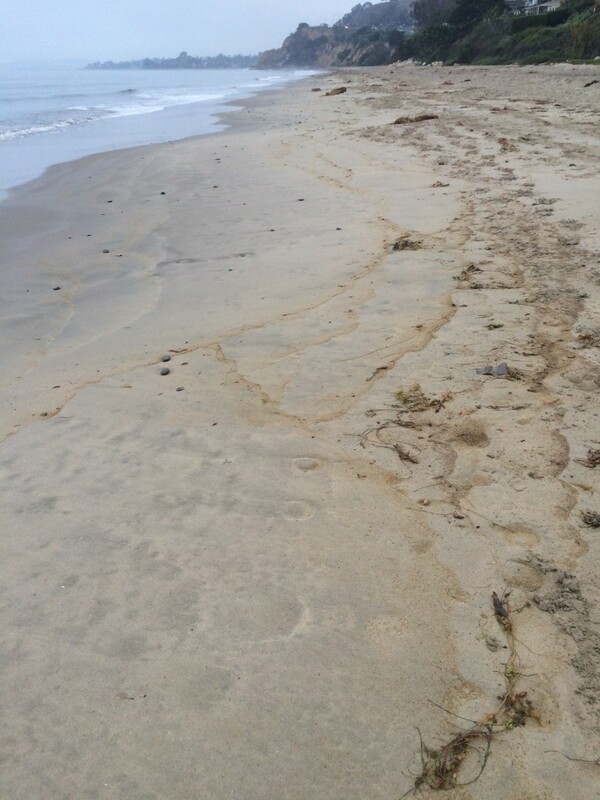 The heavily oiled cobble strand at the northern/western terminus of Summerland Beach on August 22, 2015. 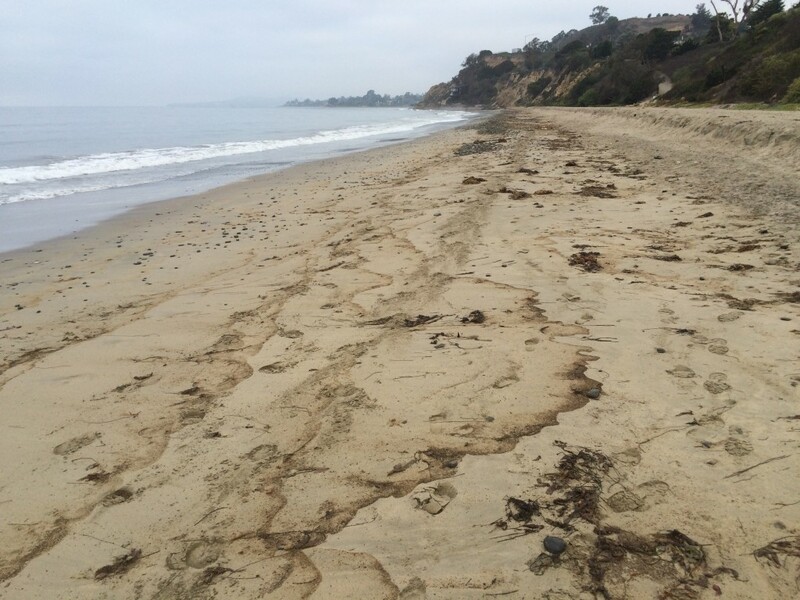 We observed increased background rates of beach deposition of tar/oil for the past few months, especially in the vicinity of Summerland (and Coal Oil Point). This is the normal state of things in this region. Indeed, abundant oil (especially enriched with asphaltenes) has been known since Chumash times and was the motivator for intensive drilling across Summerland starting in the late 1890s. This elevated seep rate (or potentially petroleum from a leaking old/improperly capped well head) was nevertheless nowhere near as intense as the recent activity in and around Summerland California we are now seeing. Something has clearly changed in the past many days. 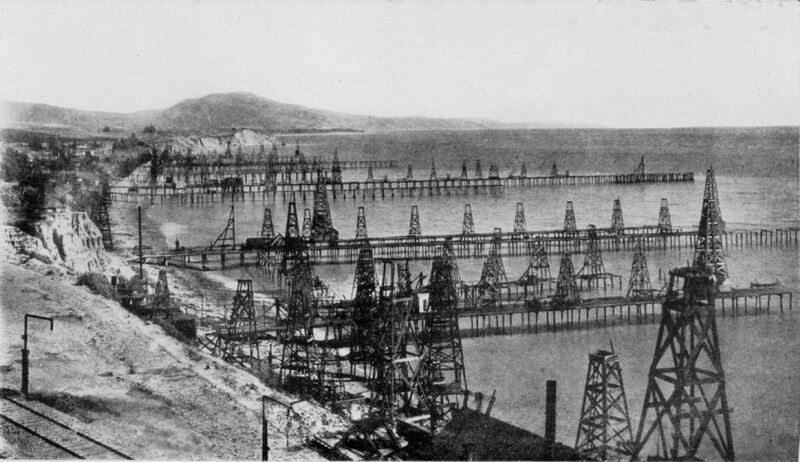 Offshore oil drilling piers along the Summerland Coast (dated to 1915, but image might have been taken as early as 1906). This heightened oiling rate we are observing at Summerland is much greater than our “typical” seep deposition seen in previous years and much greater than the rates seen this year prior to about two weeks ago (confirmed by both our observations and numerous reports from local residents). But these things are hard quantify and often quite patchy in space and time. As of now this deposition rate we are seeing in Summerland is still within the range of “natural” oiling, albeit on the high end. 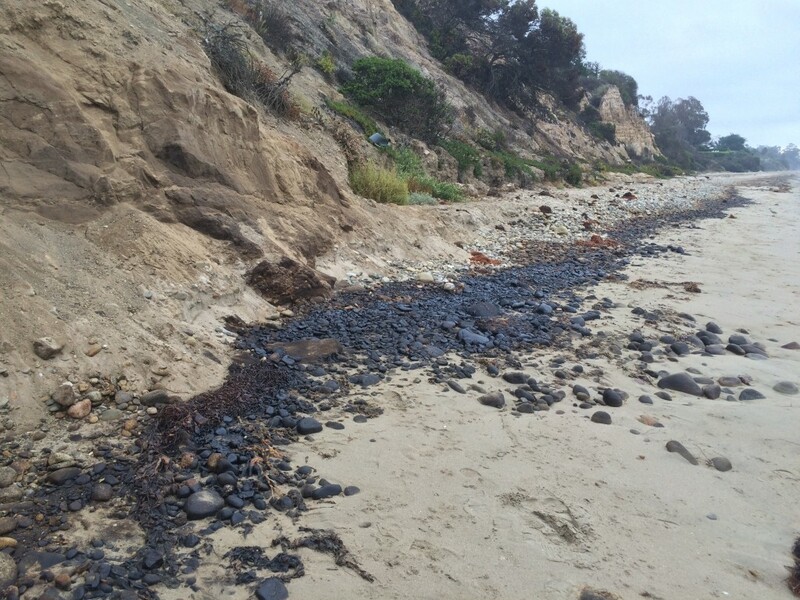 A near-contiguous layer of oil coasting the sand and wrack at Lookout Beach in Summerland, CA on August 22, 2015. 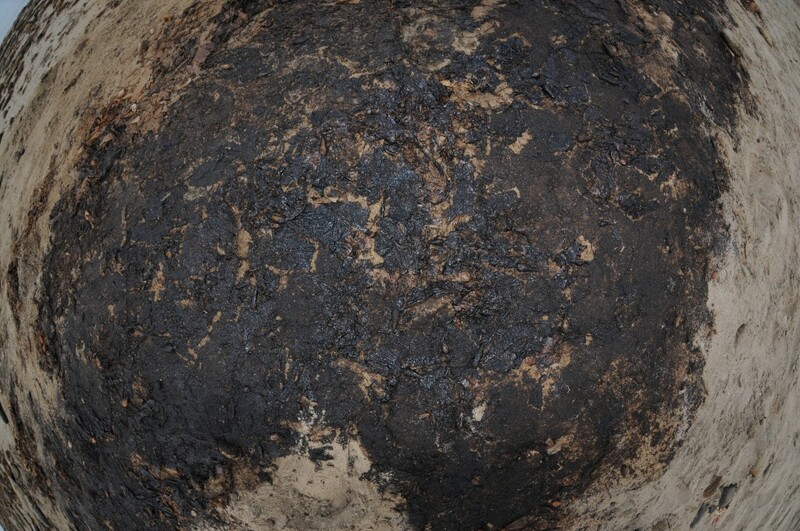 The only surfaces not heavily oiled in this immediate area had been disturbed by foot/paw/hoof traffic or by our collection of oiled sand samples. 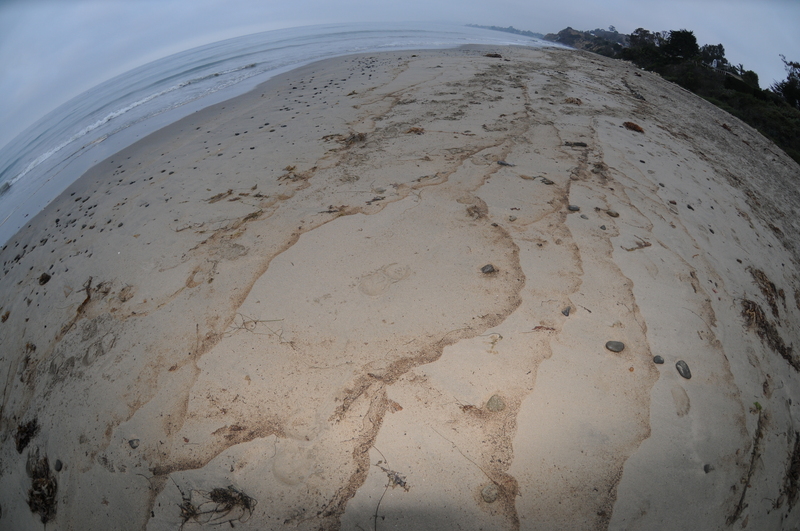 Oily waves and surface deposition in the surf zone at Summerland Beach on the morning of August 22, 2015. What is causing this increased rate of seeping/beach deposition? This is unclear and likely due to the vagaries of subsurface pressure fields and geological structures (or potentially petroleum leaking from some aging well head?). 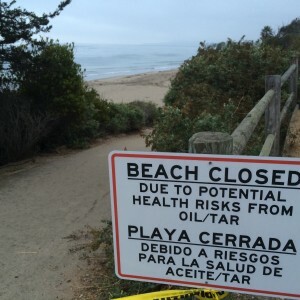 The reason this particular event has triggered a Public Health Warning and beach closure is not surprising: the highest concentration of oil occurred right at the bottom of the public beach access ramp leading to the beach from Lookout Park. 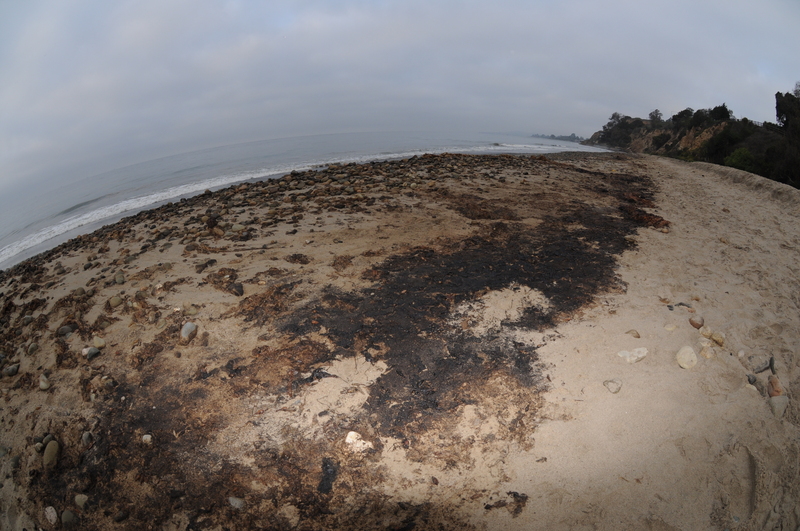 So the spot where just about everyone enters the beach had the greatest pooled oil deposits, the most obvious visual concentration of oil, and the strongest crude oil stench. 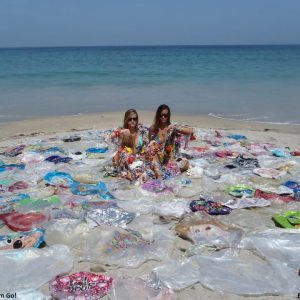 This is obviously the worst possible situation for both folks interested in recreating on the beach and public officials charged with maintaining a safe, healthy beach. (Note: while not dangerous for short exposures, the amount of volatile organics in the air in the vicinity of these accumulated oil swales translates into a not particularly healthy situation should you be inhaling this air over the long run). It is very clear that this oiling is not deriving from poorly maintained terrestrial storm drains, as folks have speculated. Broken and corroded culvert eroded and deposited down near the beach from the incised cliffs above Summerland Beach. August 22, 2015. This heavy oiling over the past two weeks is highly localized. A few miles up or down the coast translated into essentially no freshly deposited oil upon neighboring beaches. We feel it is prudent for folks to avoid the Summerland beaches for the immediate future until this seep activity dies back down to a lower level. This might be a few days or weeks or months. Time will tell. 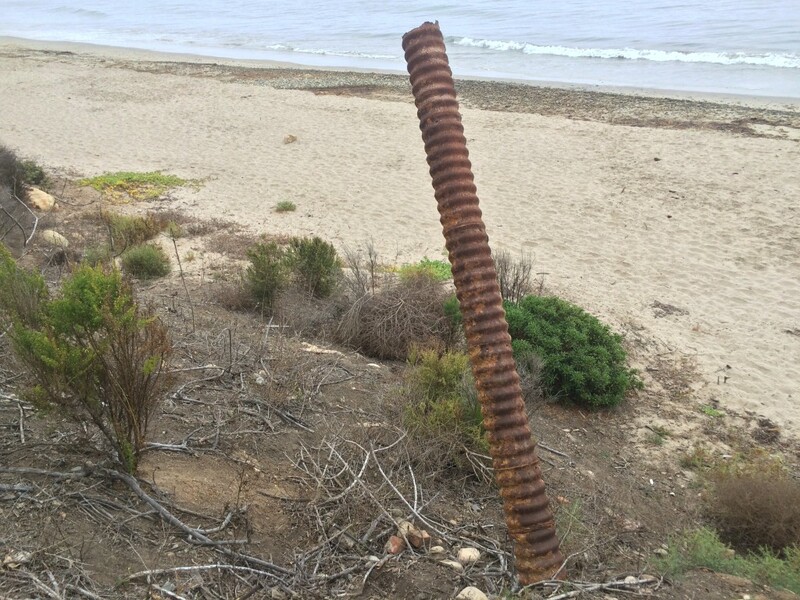 The State Lands Commission is currently investigating some of our old, abandoned well heads close into shore near the epicenter of this beach deposition.